Up until a week ago, I hadn't opened a tube of mascara since September. After hearing about the major advantages of lash extensions—quickening my morning makeup routine being the big one—I went to get my lashes done for the first time early last fall and was immediately hooked. They lasted for a month and a half, and when the last lash fell off, I just went to get them done again. But just like when you meet a potential steady love interest close to holiday season, the break threw off scheduling a third lash extension date with a lash expert I totally vibed with and I was left in this weird waiting limbo without full lashes. 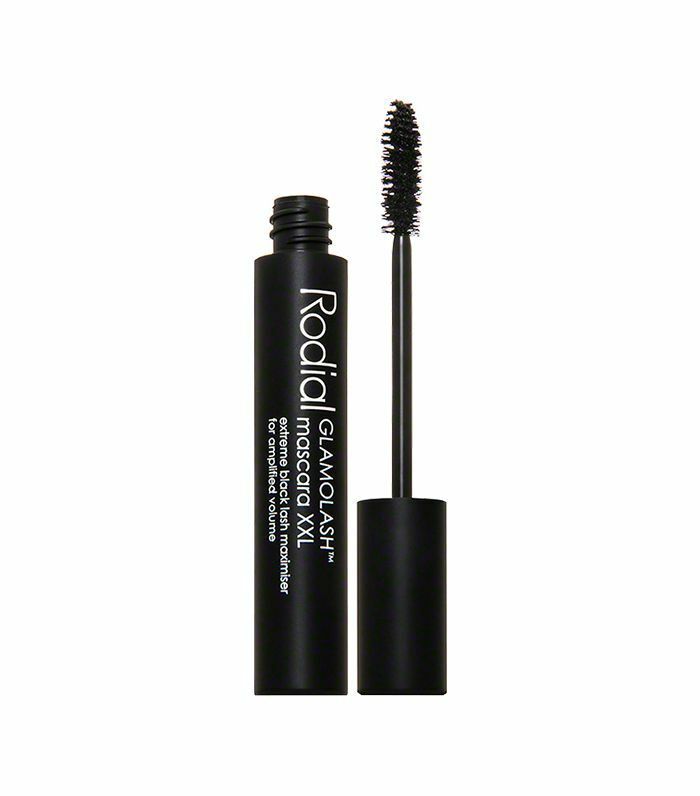 So in that downtime, I picked up Rodial Glamolash Mascara XXL. While lash extensions did cut my makeup routine time in half, I admittedly missed having mascara in my life. It's always been one of my favorite products to test out. I've read reviews on this Rodial mascara and they were nothing but positive, with reviews like "this is the BEST EVER," "I will be sticking with this mascara FOREVER," and "this is now my favorite mascara!" Several beauty editor friends also rave about this mascara. Per usual, I had to see what the hype was all about. A great mascara really just needs to do two things: add volume by lengthening your lashes and not clump or transfer color onto your skin. I've tested pretty much every mascara imaginable and I have to put this mascara in my top five. The formula is made with beeswax to condition the lashes, carnauba wax to prevent clumping, and collagen for length. First—and probably most important to me—the collagen really does give my lashes the intense volume I constantly seek. I've noticed how much more open my eyes look when wearing this particular mascara. Second, the claims that your lashes will look full and long all day are completely true; I felt comfortable going straight from work to drinks without having to reapply a coat or two. Lastly, the carnauba wax keeps the mascara from flaking or giving me raccoon eyes by the end of a long workday. Currently, I have yet to set up my third lash extension date. While I have an internal battle on which to officially call back into my makeup life, I highly recommend this mascara if you're looking for one. I promise you won't regret it.